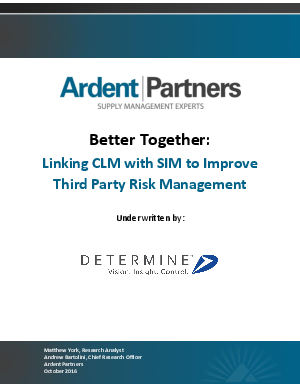 Organizations today and for the foreseeable future must have visibility into supplier and third-party operations in order to mitigate risks and achieve compliance. But, that is often easier said than done. The visibility challenge is compounded by the growing volume of data flooding the typical procurement organization from multiple, disparate systems.